The Cuisinart Hurricane™ HP Blender professional blender that makes tasty smoothies and great drinks or gourmet soups and sauces. This food blender provides the ideal combination of power and performance and features Quiet double housing design design to crush ice, puree and mix with maximum efficiency. The Blender features timing that will always be perfect with a built-in Count-down Timer, with the pre-programmed Smoothie function. This blender has a 60-Oz. BPA-free Tritan blender jar and lid. The Cuisinart Hurricane Blender- 2.25 Peak HP has many exciting features for users of all types. 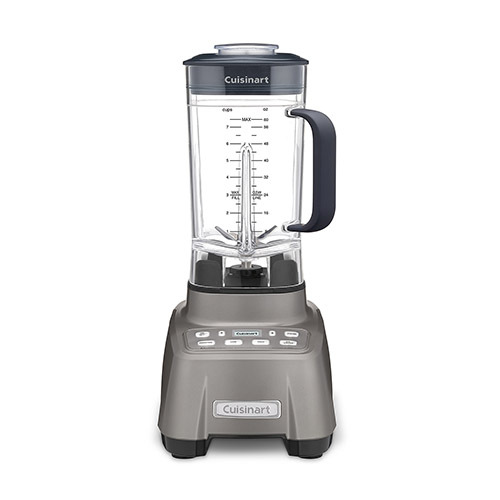 You can extend the lifetime of your Cuisinart Hurricane Blender- 2.25 Peak HP with the purchase of a FactoryOutletStore Factory Protection Plan. See the Cuisinart Hurricane Blender- 2.25 Peak HP product video and gallery images above for more details. 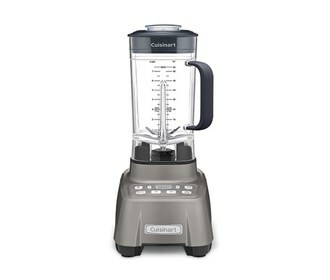 The Cuisinart Hurricane Blender- 2.25 Peak HP is sold as a Brand New Unopened Item.